Announcing £100 Prize Giveaway celebrating our new store opening at Edinburgh Fountain Park…Enter NOW! The promoter is: Guy & Beard Ltd (company no.SC567036)] whose registered office is in Scotland. The competition is open to residents of the United Kingdom of all ages employees of Guy & Beard Ltd and their close relatives and anyone otherwise connected with the organisation or judging of the competition. Route to entry for the competition and details of how to enter are via http://www.guyandbeard.co.uk. The competition will be run on Instagram and Facebook. Closing date for entry will be 31stDecember 2018. After this date the no further entries to the competition will be permitted. Simply like, share and tag the competition post on your Instagram or Facebook page with a chance to win the prize. 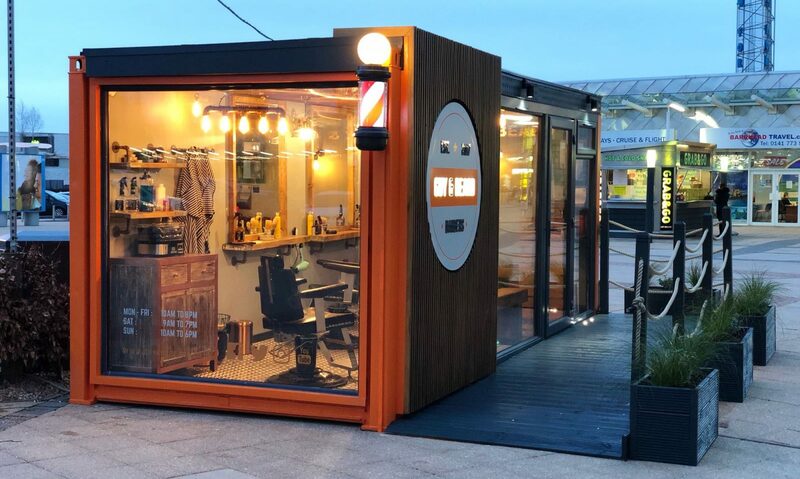 The prize is as follows: £100 worth of products including vouchers to use in store for Guy & Beard services.The prize is as stated and no cash or other alternatives will be offered. The prizes are not transferable. Prizes are subject to availability and we reserve the right to substitute any prize with another of equivalent value without giving notice. Winner will be chosen at random, from all entries received and verified by Promoter and or its agents by 1stJanuary 2019. The competition and these terms and conditions will be governed by Scottish law and any disputes will be subject to the exclusive jurisdiction of the courts of Scotland. The winner’s name will be available 28 days after closing date by emailing the following address: contact@guyandbeard.co.uk. Guy & Beard Limited will judge the competition and decide on the winner, which will be picked at random from all complete entries via Facebook / Instagram. Guy & Beard‘s decision as to those able to take part and selection of winners is final. No correspondence relating to the competition will be entered into. The entrant must be following @guyandbeard on Facebook / Instagram in order to enter. Guy & Beard Limited shall have the right, at its sole discretion and at any time, to change or modify these terms and conditions, such change shall be effective immediately upon posting to this webpage. Guy & Beard Limited also reserves the right to cancel the competition if circumstances arise outside of its control.